It is everyone's dream to live long and live healthy. As we all know, living long and healthy requires efforts which include keeping your heart in good condition, and that is why our doctor has come up with 3 among many ways to keep our hearts healthy. Smoking or using tobacco of any kind is one of the most significant risk factors for developing heart disease. 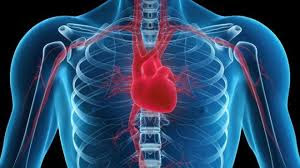 Chemicals in tobacco can damage your heart and blood vessels, leading to narrowing of the arteries (atherosclerosis). Atherosclerosis can ultimately lead to a heart attack. Carbon monoxide in cigarette smoke replaces some of the oxygen in your blood. This increases your blood pressure and heart rate by forcing your heart to work harder to supply enough oxygen. Women who smoke and take birth control pills are at greater risk of having a heart attack or stroke than are those who don't do either because both smoking and taking birth control pills increase the risk of blood clots. When it comes to heart disease prevention, no amount of smoking is safe. But, the more you smoke, the greater your risk. Smokeless tobacco and low-tar and low-nicotine cigarettes also are risky, as is exposure to secondhand smoke. Even so-called "social smoking" — smoking only while at a bar or restaurant with friends — is dangerous and increases the risk of heart disease. The good news, though, is that when you quit smoking, your risk of heart disease drops almost to that of a nonsmoker in about five years. And no matter how long or how much you smoked, you'll start reaping rewards as soon as you quit. Getting some regular, daily exercise can reduce your risk of fatal heart disease. And when you combine physical activity with other lifestyle measures, such as maintaining a healthy weight, the payoff is even greater. Physical activity helps you control your weight and can reduce your chances of developing other conditions that may put a strain on your heart, such as high blood pressure, high cholesterol and diabetes. Try getting at least 30 to 60 minutes of moderately intense physical activity most days of the week. However, even shorter amounts of exercise offer heart benefits, so if you can't meet those guidelines, don't give up. You can even get the same health benefits if you break up your workout time into three 10-minute sessions most days of the week. And remember that activities, such as gardening, housekeeping, taking the stairs and walking the dog all count toward your total. You don't have to exercise strenuously to achieve benefits, but you can see bigger benefits by increasing the intensity, duration and frequency of your workouts. Eating a healthy diet can reduce your risk of heart disease. Two examples of heart-healthy food plans include the Dietary Approaches to Stop Hypertension (DASH) eating plan and the Mediterranean diet. A diet rich in fruits, vegetables and whole grains can help protect your heart. Beans, other low-fat sources of protein and certain types of fish also can reduce your risk of heart disease. Limiting certain fats you eat also is important. Of the types of fat — saturated, polyunsaturated, monounsaturated and trans fat — saturated fat and trans fat are the ones to try to limit or avoid. Try to keep saturated fat to no more than 10 percent of your daily calories. And, try to keep trans fat out of your diet altogether. If the nutrition label has the term "partially hydrogenated," it means that product contains trans fat. Heart-healthy eating isn't all about cutting back, though. Healthy fats from plant-based sources, such as avocado, nuts, olives and olive oil, help your heart by lowering the bad type of cholesterol. Most people need to add more fruits and vegetables to their diet — with a goal of five to 10 servings a day. Eating that many fruits and vegetables can not only help prevent heart disease but also may help prevent cancer and improve diabetes. Eating several servings a week of certain fish, such as salmon and mackerel, may decrease your risk of heart attack. Following a heart-healthy diet also means keeping an eye on how much alcohol you drink. If you choose to drink alcohol, it's better for your heart to do so in moderation. For healthy adults, that means up to one drink a day for women of all ages and men older than age 65, and up to two drinks a day for men age 65 and younger. At that moderate level, alcohol can have a protective effect on your heart. More than that becomes a health hazard. New Diet Taps into Revolutionary Concept to Help Dieters LOSE 15 Pounds in Only 21 Days!